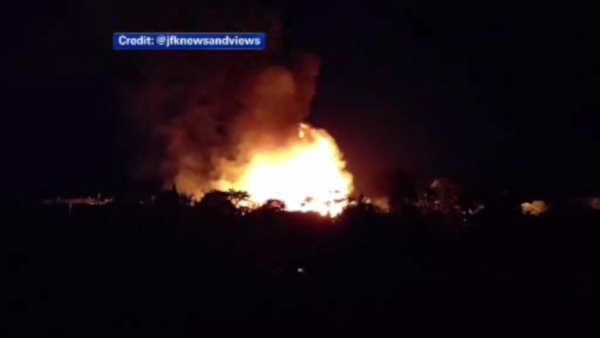 FAIR HARBOR, Fire Island (WABC) -- Fast-moving flames rose high above the Fire Island community of Fair Harbor on Saturday night. One house was destroyed and three were damaged. Many firefighters from around the area responded. Authorities have reported no injuries.